How a total cost of ownership approach to edtech can affordably power learning. Digital learning, though still in its youth, has been shown to enable students to learn more quickly and adeptly, while improving instructional technique and optimizing instructor time, according to the MIT Office of Digital Learning. This is echoed in a survey by Harris Interactive, which shows that 96 percent of teachers think edtech increases student engagement in learning and 92 percent would like to use even more edtech in the classroom. In order to create, promote, and sustain a dynamic digital-age learning culture— school districts must factor in TCO when purchasing edtech devices, and embrace financial-sustainability best practices. As more schools embrace the use of technology in the classroom, with many moving towards a 1-to-1 digital learning environment, school districts are faced with how to fund a sizable investment for devices that depreciate in value over time. Many schools focus only on initial costs, leading them to purchase what appear to be lower cost devices. The structural integrity of lower cost devices is a key consideration that often is overlooked. When schools make decisions based purely on initial cost, they often neglect to factor in future repair costs and residual value. Unfortunately, this can end up costing the school district more in the long run due to minimal future residual value, exorbitant repair costs, lost instructional time and a poor educational experience for students. A better way to purchase technology is to look at the Total Cost of Ownership (TCO) of a device over its lifecycle and adopt a lifecycle management approach to edtech that ensures devices are refreshed at the optimal time and the classroom benefits from the best learning experience. A TCO approach to funding edtech devices takes into account both the cost of devices and the learning experience that the devices enable. It starts with the identification of educational goals for the digital learning initiative. In general, having the latest hardware and software creates the opportunity for schools to meet their digital learning goals by removing the variable of outdated, more constricting technology. Once the goals are determined, devices should be evaluated based on their ability to help instructors reach their digital learning goals. For example, will a laptop or tablet provide the desired learning experience? Do certain devices provide needed software or services that others don’t? The initial investment—this is the total upfront cost to purchase the devices, along with any discounts for bulk orders. Residual value at increments—chart the residual (buy back) value of the devices in two stages: after two and three years. Wear and tear—the residual value of devices can be impacted by damage and wear and tear, sometimes substantially. This “reconciliation” factor can reduce the residual value of devices significantly, by as much as 25 percent. For example, some schools may select one device because it has a lower upfront cost, not realizing there is little to no residual value for that device in the future. When looking at the TCO of technology, often higher priced devices that maintain their value are a better choice because that residual value can be tapped to buy down the cost of future devices. A REFRESHING VIEW. School districts that buy devices based on upfront cost may end up paying more when it’s time to refresh technology. In this chart, the device with the higher upfront cost also has a higher residual value. 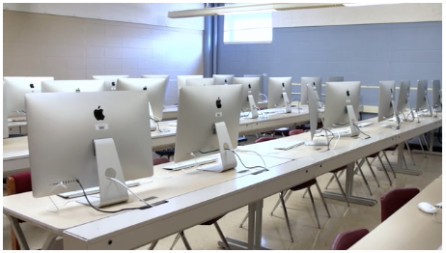 When refreshing technology after three years, the district will have spent less money on the device with the higher initial cost. The cost differential is greater when breakage costs are factored in. This exercise also is helpful in adopting a lifecycle management approach to digital learning devices, which plans for technology refreshes six to eight years in the future, and can further reduce the cost per user of devices and software. It also takes into account the optimal time to trade up devices, so students and teachers have access to current tools. Historically we have found that there is enough equity in some devices after the second year to pay off the third and final year’s lease payment. This allows school districts to purchase more current hardware and software to ensure that educational goals for digital learning are being met. It’s important to understand that there are costs associated with keeping technology too long. Frugal school districts often purchase devices with the idea of keeping them as long as possible, missing out on the ability to leverage the residual value of devices to buy down the next purchase. Because technology is changing so rapidly, older devices—while still working—can’t take advantage of newer innovations in classroom management and other functionality. In order to create, promote, and sustain a dynamic digital-age learning culture—school districts must factor in TCO when purchasing edtech devices, and embrace financial sustainability best practices. As good stewards of tight budgets, it’s important to consider how hardware and software help to reach the goals of digital learning as part of any financial evaluation.